For years VMware has dominated the market as the leader in virtualization. 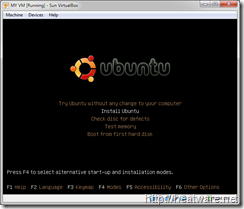 They offer a number of products from desktop to enterprise applications which can be confusing for users looking for a simple way to run, for instance, an Ubuntu instance within their Windows OS. 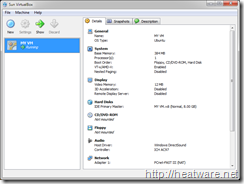 VMware offers one freeware product called, VMware server that runs on Windows or Linux and can be used to virtualize a number of operating systems. However, I recently came across a freeware offering from Sun Microsystems that will give VMware a run for their “freeware money”. 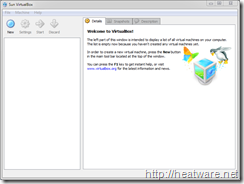 Introducing VirtualBox! You may not have heard of this product before, but don’t get the unfamiliarity fool you. 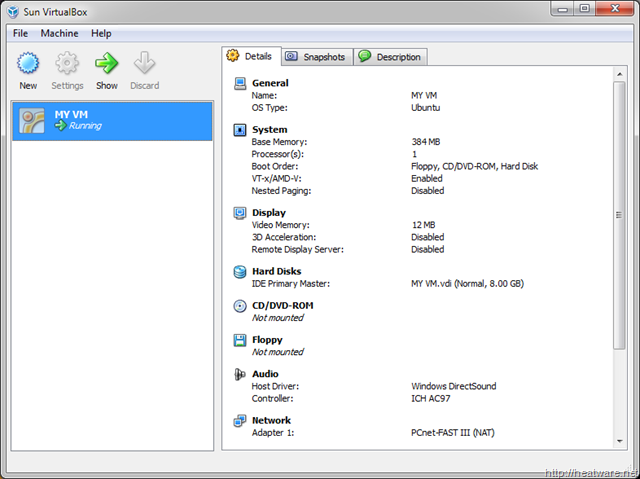 This is a full-fledged competitor to VMware server that will allow you to create various OS instances in a jiffy! 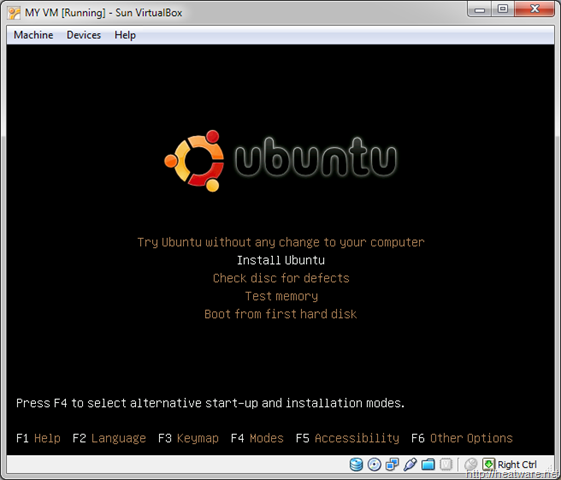 Unlike VMware Server, VirtualBox runs on Mac OS and Solaris in addition to Windows and Linux. Also, the Windows installation package is a paltry 60 MB vs. the 500 MB of VMware Server. What I really dislike about VMware is that it runs as a Apache Tomcat server and the user interface is browser-based which is clunky and a memory hog. Also, VMware Server only allows users to capture a single snapshot whereas multiple snapshots can be taken using VirtualBox. 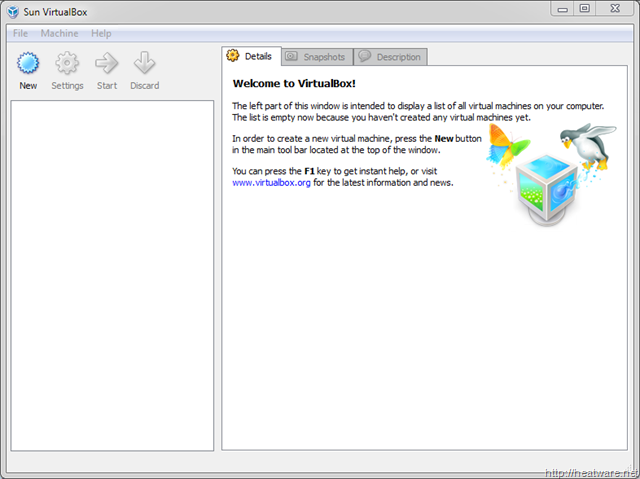 VirtualBox’s interface is also very clean, efficient, and easy-to-use. See below for screenshots!